It's the beginning of June and the Bank Holiday weekend. Of course, the weather forecast is terrible... Summer has arrived! We've been really busy making stock for the summer events and local galleries. 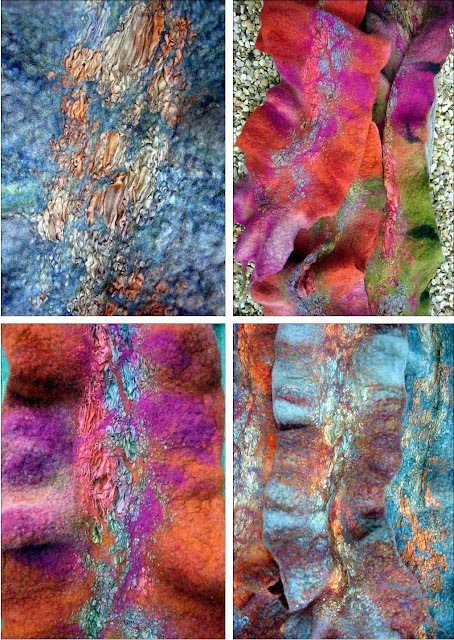 In particular lots of nuno scarves, using some wonderful hand-dyed silk, layered and felted between hand-dyed merino/silk blends. 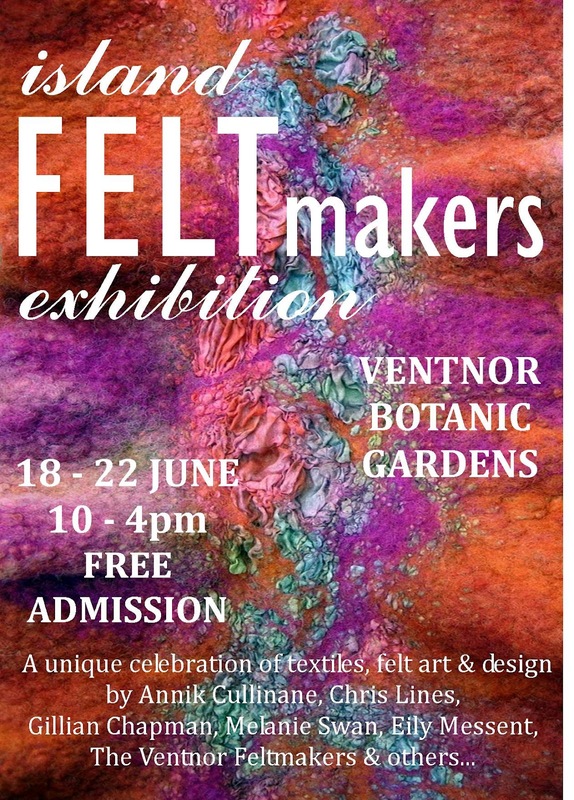 It's a great opportunity for anyone interested in felt textiles to come along, meet the feltmakers and see a wide range of styles and work on display in the wonderful Echium Room at Ventnor Botanic Gardens. The exhibition runs from Monday 18th to Friday 22nd June. I hope you can make it, I shall be there each day from 10am - 4pm so it will be good to catch up. Latest news from West Wight Alpacas... They are having their official OPEN WEEKEND celebrations on Saturday 7th & Sunday 8th July from 10 - 4pm. Michelle & Neil are inviting everyone to come and look around the farm and see the alpacas, including the new arrivals. The shop will be open and stocked with an amazing range of hand-made alpaca products. 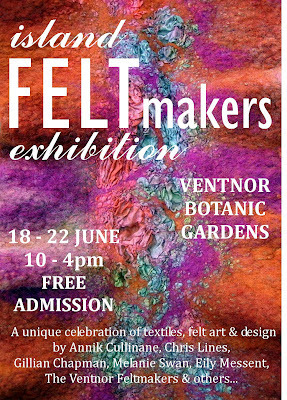 Refreshments will be available and throughout the weekend there will be demonstrations of felt making & knitting using the alpaca fibre. You will also have the chance to walk with the alpacas around the paddock, with donations going to Freshwater Lifeboats. West Wight Alpacas is at Main Road Wellow PO41 0SZ and there's more information here. We've also got more dates arranged for felt making workshops taking place at the farm during July & August, click here for dates and details. One of the high-lights of the summer is the Isle of Wight OPEN STUDIOS, taking place in West Wight on the 13th - 16th July. I shall be at Freshwater Parish Hall with a group of six artists exhibiting paintings, photography, ceramics, fused glass plus my felt designs, and you'll find lots more information about Open Studios here. It coincides with the Olympic Torch passing through West Wight on the Saturday, so you could combine both momentous events! We will be producing a map showing the studios of all the artists taking part, plus the torch route and I shall post details nearer the time. I'm also taking part in an exhibition at QUARR ABBEY from the 25th - 31st July, but again more details will follow. It's going to be a busy summer...!